Planning your Next Weekend Outing ? 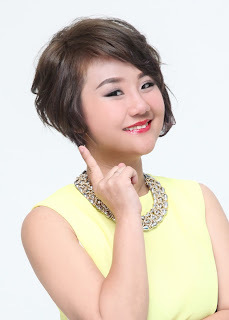 Love Something New in Malaysia? 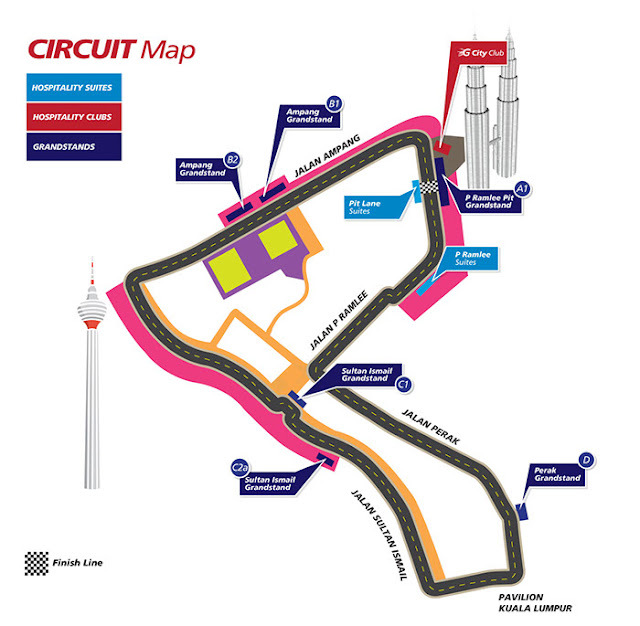 KLCity Grand Prix is happen Next Weekend! Kuala Lumpur’s first ever FIA approved city street motor racing event will get even more exciting with the latest international series to sign up for this motoring extravaganza. The world renowned V8 Supercars will be a feature race at the KLCity Grand Prix for the next four years. In this inaugural year, the V8 will be staged as a competitive exhibition race featuring 5 top drivers from the series, Craig Lowndes, Scott McLaughlin, Chaz Mostert, Will Davison and Todd Kelly. The Australia based V8 Supercars is a premier international motorsports series which has been running annually since 1960. It is now acclaimed as one of the best and most entertaining motorsports event in the world. V8 Supercars series CEO, James Warburton said, in Kuala Lumpur today, “We are absolutely delighted to begin this partnership with the KL City Grand Prix and be the first international racing series to participate at this spectacular event,” He envisages that many V8 Supercars fans from Australia and the rest of the world will converge in Kuala Lumpur this August to follow their favourite V8 Supercars team race at the KL City Grand Prix. In addition to this hallmark series from Australia, 2 other world renowned international motor racing series have also been lined up for the KL event. The Porsche Carrera Cup Asia and the Audi R8 LMS Cup, . Into its 15th season, the Porsche Carrera Cup Asiafeatures top flight super car racing teams with some of the best drivers from four continents and 12 countries. The 2015 series line up will feature highly competitive racers, and the folk in Kuala Lumpur will get to experience these scintillating motor racing moments as the Porsche supercars challenge each other for the first time in this brand new circuit. The Audi R8 LMS Cup will see another racing series from the VW Group. This year, into its fourth season, fans at the KL City Grand Prix will see some exciting racing from the cars of the Four Circle marquee series. A most notable driver in this Series is Malaysia’s very own Alex Yoong, of the Audi TEDA Racing Team. He is also currently leading the pack after Round 2. KL City Grand Prix. 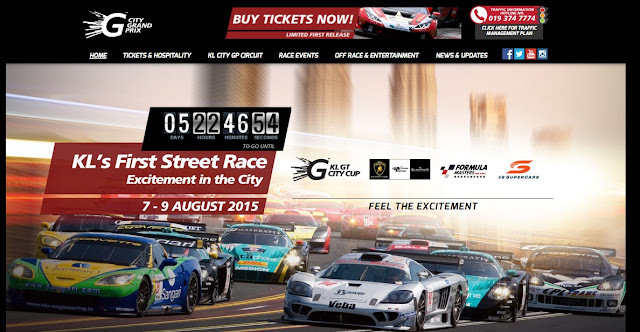 A three day festival of super sports cars racing, on a 3.2 km circuit designed around the main streets around the KLCC area, to be held between 7th to 9th August 2015. The event is organized by GT Global Race (M) Sdn Bhd, in collaboration with DewanBandaraya Kuala Lumpur (DBKL). The Organisers have also entered into an agreement with Sepang International Circuit (SIC) to manage race operations for all the races to be held in the circuit over the 3 days of the KL City Grand Prix. While motor racing has been well established in Malaysia over the years, particularly in the specialtyracing track in Sepang, the KL City Grand Prix will bethe first ever world class car racing event to be staged in the city streets of Kuala Lumpur. 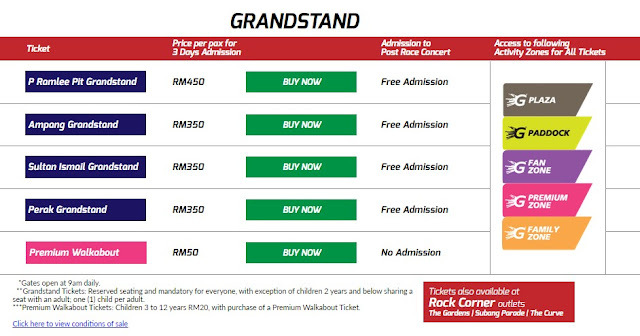 Add to that, a mega carnival atmosphere created by an extravaganza of an entertaining concert, cultural and food village, as well as a series of other interactive supporting events, will see the KL City Grand Prix truly standing out as one of the hallmark events in Malaysia every year. The three day event will see Malaysian and international drivers from leading GT racing teams, challenging for points and titles for some of Asia’s top races. The other international races that have earlier been announced include the Lamborghini Super Trofeo Cup, as well as the Formula Masters. In addition to these international series, the Organisersare also lining up their own flagship race, known as the GT City Cup. This race will feature top drivers from around the world, competing in mixed marques of super performance cars.